php web development company Nagpur|Pune|Mumbai|India, ALIF IT Solutions Pvt Ltd.
PHP is a robust, open source platform for developing agile web applications with multiple functionalities. 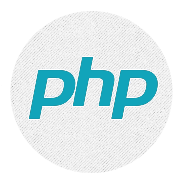 The technology has matured greatly over the years and PHP supports many frameworks that can be used for development. The LAMP architecture of the platform has revolutionised the way web applications are developed. PHP, with the support of the LAMP architecture serves a strong foundation for custom app development that offers high performance at a lower cost. PHP is a general purpose scripting language that is suited for web development and can be easily embedded into HTML. As per the survey based on sources from wiki, PHP was installed in more than two hundred million web sites. PHP can be used in combination with various templating engines and web frameworks. Off late PHP is evolved into a command line interface and has standalone graphical capabilities. Why the client needs PHP? Quick Load Time - PHP leads to quick site load time. Open source Software - One of the hall mark of PHP is it is open source software and hence it is free. As a result it saves considerable licensing costs. Economical Hosting - Instead of buying expensive windows based servers for hosting the service, PHP can be hosted on Linux servers and eliminate the need for cost overruns. Database Flexibility - PHP is flexible for database connectivity. It is used to connect with varied database. The most OFTEN used is the MySQL. Security - Popular CMS like word press is prone to security vulnerabilities. PHP framework ensures minimal threat to the services and applications. We use these tools, application architectures and development models, along with diverse methodologies to create responsive and scalable applications with a secure foundation. We take up turnkey development projects as well as application maintenance and support activities for existing applications based on the client requirement.